Mortal Kombat Nightmares is the premiere source for all that is Mortal Kombat. Coverage of the entire MK series. Welcome to Our World of Mortal Kombat, we are your Nightmares. 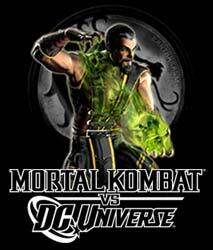 Mortal Kombat is property of Warner Brothers. Mortal Kombat is formerly the property of Midway Games. This web site is not affiliated with Warner Bros or Midway Games. Mortal Kombat Nightmares is an unofficial fan based website. We are a Mortal Kombat website built by MK fans for MK fans. Visit the Official Mortal Kombat website!